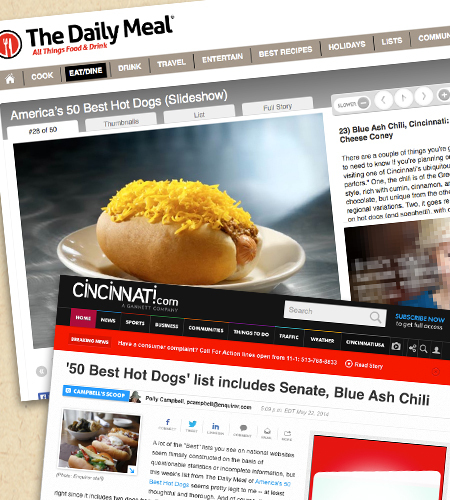 For the second year in a row, Blue Ash Chili has made The Daily Meal’s list of America’s 50 Best Hot Dogs! As one of only 2 Cincinnati restaurants to make the list (along with the fine folks at the Senate) it’s something we’re really proud of. Take a look at the full list, then come on in and try one for yourself.